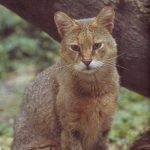 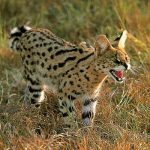 There are three medium-sized African wild cats - the Caracal, Serval and African Golden Cat which weigh up to a maximum of 16 to 19kg. 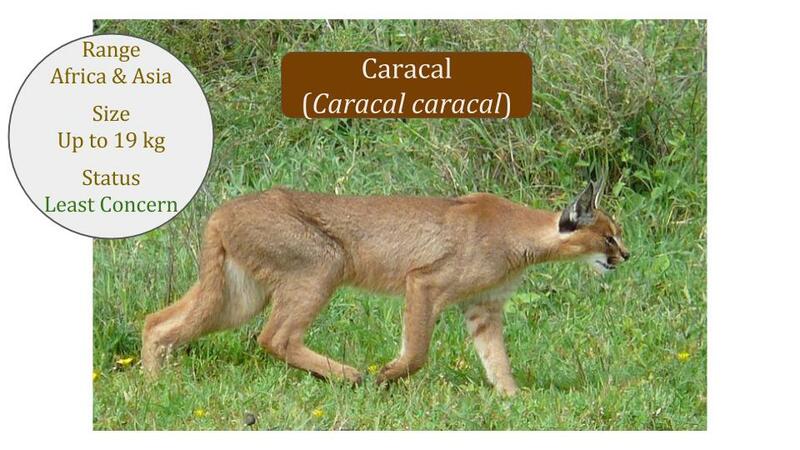 All three cats belong to the Caracal lineage. 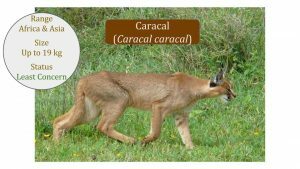 The Caracal and African Golden Cat are more closely related in the Caracal genus but the Serval is more distantly related and is classed in its own Leptailurus genus. 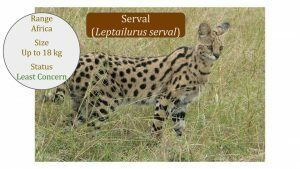 All three wild cat species predate on similar prey, however each cat occupies a different habitat thus reducing competition. 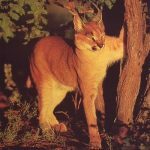 The Caracal predominantly occupies savanna and semi-arid habitats; the Serval inhabits grasslands and wetlands and the African Golden Cat is a forest habitat specialist. 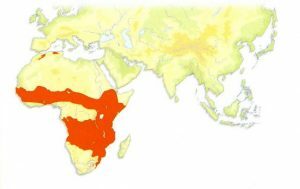 The Serval and the African Golden Cat are endemic to Africa, but the Caracal's range extends through the Middle East and into Asia. 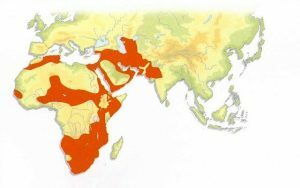 Except for the desert and rainforest regions, both Caracals and Servals are widespread throughout Africa. 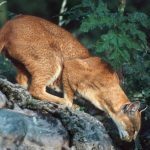 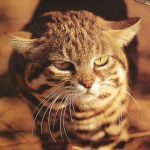 However the African Golden Cat only occurs in the rainforests of the central equatorial belt. 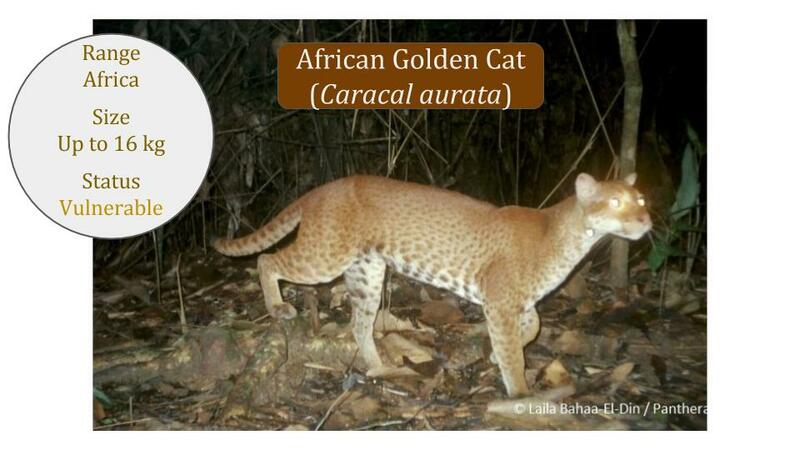 Adapted from: Cats of Africa by Bosman and Hall-Martin - Summary of Biological Data Pg 145. 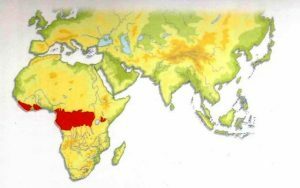 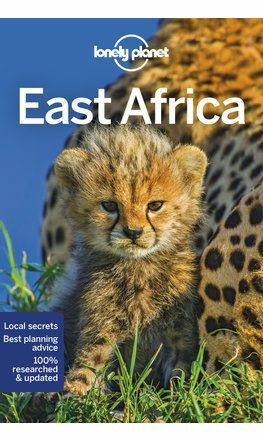 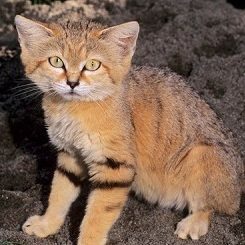 List of African countries where each medium-sized African cat species naturally occurs - according to the IUCN Red List of Threatened Species (downloaded 7 Dec 2016 www.iucnredlist.org). 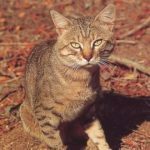 Use the Sort function (click on column heading) to find out which countries all three cats occur in. 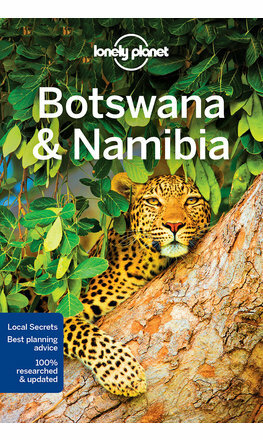 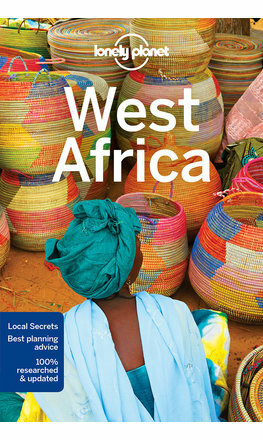 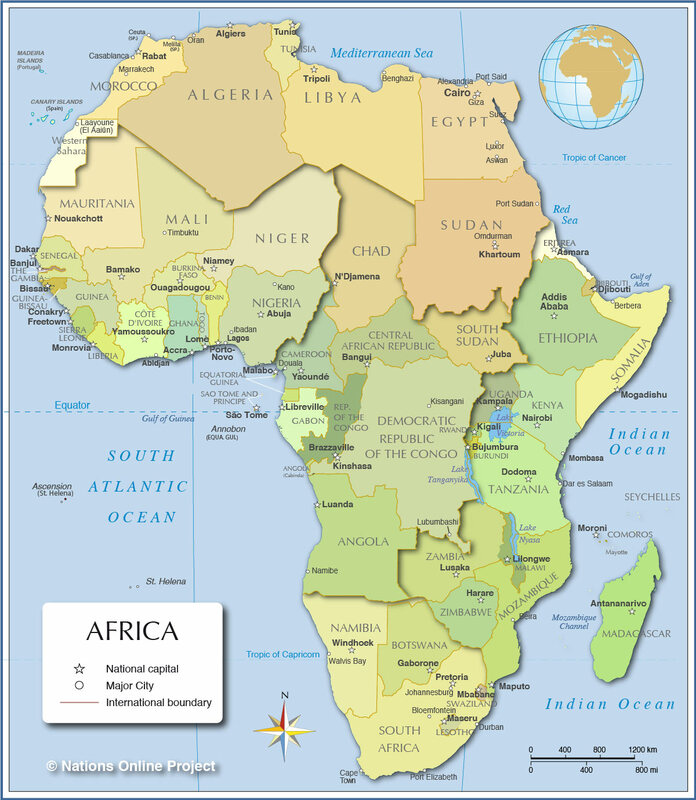 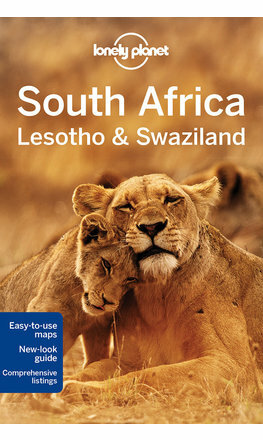 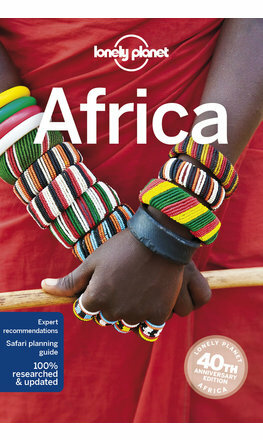 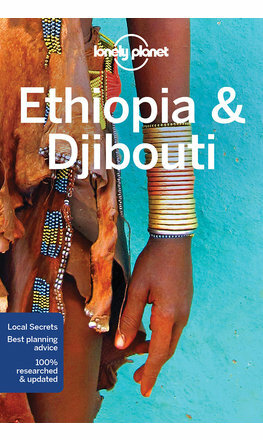 See map of Africa below the table.